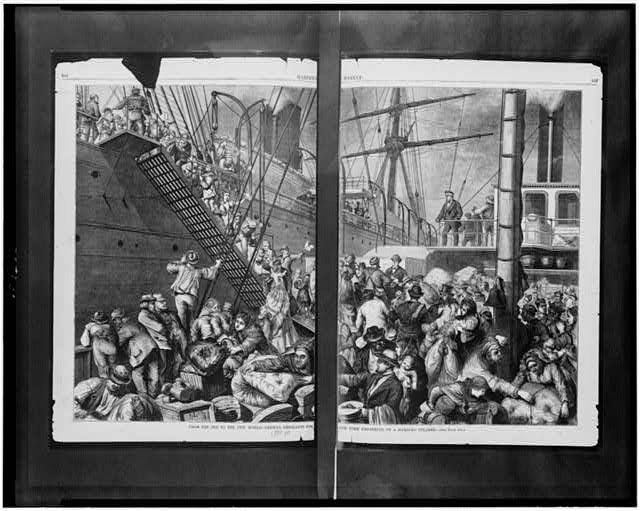 LC-USZ62-100310, Library of Congress Online Catalog. I began researching what life was like for those who lived on the margins without secure employment. 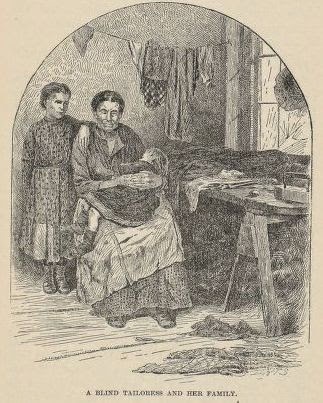 In my post of November 12, 2014, I wrote about some of the challenges the poor faced in nineteenth century Chicago. 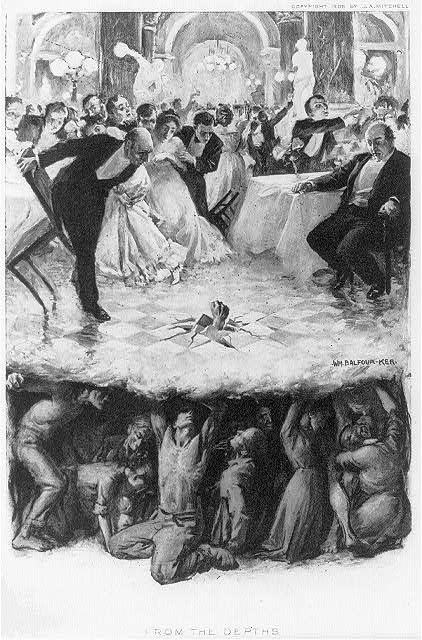 This led me to wonder more about the causes of poverty in America and how this society responded to the needs of those without the means to take care of themselves. I used two books to anchor my exploration into this topic. 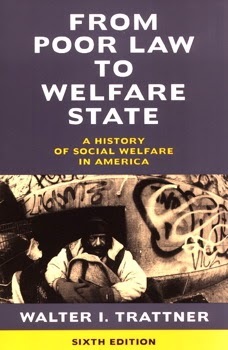 First, I went to Walter I. Trattner’s book From Poor Law to Welfare State: A History of Social Welfare in America first published in 1974 and now in its sixth edition. Trattner begins his coverage of the response to poverty by society with colonial America and goes up to President Bill Clinton’s overhaul of the welfare system. In addition to his comprehensive information on the causes and responses to poverty in America, Dr. Trattner also provides an in-depth bibliography after each chapter. If you research early America, you realize right away that ties to the mother country of England were seen in many areas, including theories on poverty. Debate on this topic flourished in both countries in parlors, newspapers and governing bodies. 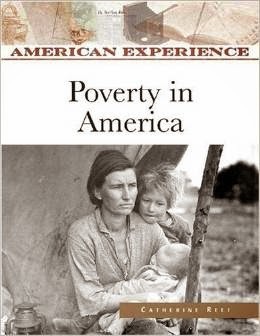 The second book Poverty in America by Catherine Reef is a great reference. It is a textbook, but don’t let that put you off. Not only is the text accessible, it is engrossing, and the book has two very helpful tools at the end of each chapter. First, there is a timeline or “Chronicle of Events” for the period covered in the chapter which lists major happenings and trends, including laws enacted, epidemics, population figures, employment data and different public and private responses to poverty. An epidemic of yellow fever devastates Philadelphia; the city provides emergency relief to 1,200 households each week. The population of New York City is 60,515. Approximately 60,000 people live in the Philadelphia area. The population of New York City reaches 96,373. War with England reduces foreign trade; domestic manufacturing expands. The resumption of peace results in an influx of imported goods and domestic wage cuts and layoffs. New York State spends $245,000 on poor relief. If you look carefully at the timeline above, you will notice that external events like epidemics, wars, and trade imbalances have a great effect on the economic well-being of people. 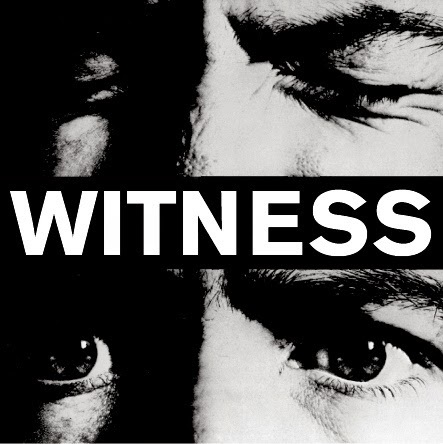 The second end-of-chapter tool is the “Eyewitness Testimony.” This section is composed of quotations from public officials, reporters and editors of newspapers, ministers, staff of almshouses/poorhouses, and people who worked directly with the poor. I found this section particularly moving and sometimes alarming. It is in this testimony that you see two very different philosophies of what causes poverty and how to deal with it. Before taking a look at some of this personal testimony, let’s look at the genesis of these philosophies. One attitude toward the poor has its roots 2,000 years B.C., became embedded in the sacred texts of the major religions of the world, and continues to a large extent today. (p. 1-2 Trattner) This attitude is that the poor are in their unfortunate position as a result of outside events (such as poor health, unemployment, disability etc.) and deserve to be helped by those with more means in the form of government aid. 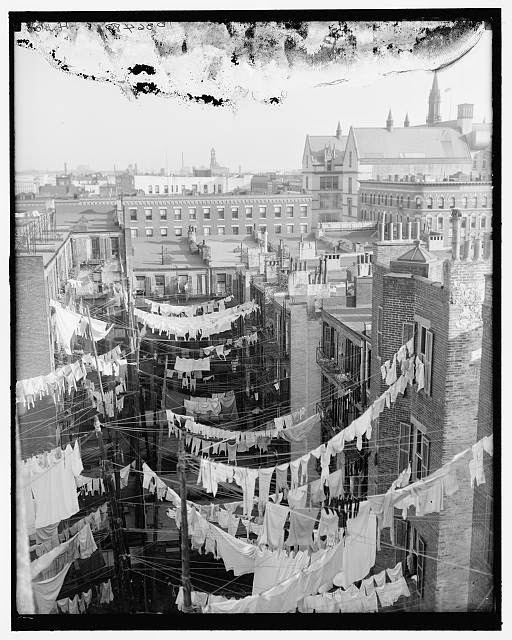 Library of Congress Online Catalog. Thomas Byrnes, Hartford, Conn: A.D. These two opposing viewpoints towards the poor that we have seen in those who worked directly with them can also be seen in society at large during the early years of America. During the time that most people lived in small villages, worked on farms and didn’t travel far, poverty was manageable: the poor were your relatives or neighbors. Of course, you helped them. 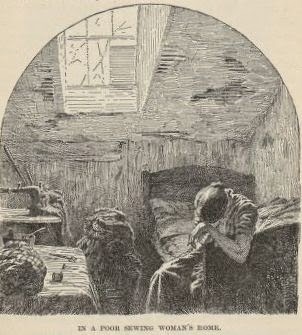 But as the nineteenth century dawned, the Industrial Revolution changed poverty. Cities were beacons to the rural poor from America and abroad with their factories that promised jobs. But these jobs were tied to economic conditions that ebbed and flowed. 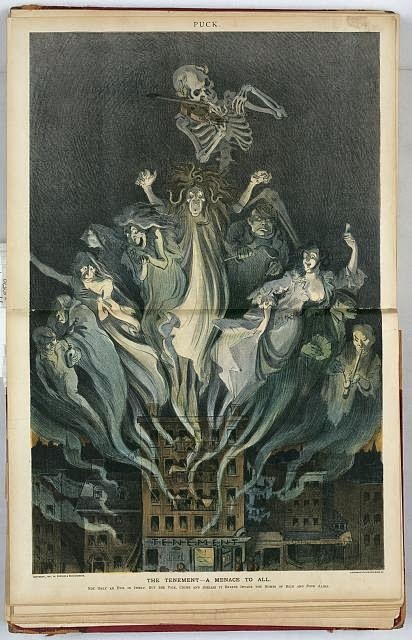 From the depths, William Balfour Ker, c1906, LC-USZ62-45985, Library of Congress Online Catalog. We have thus seen the operation of two different attitudes toward poverty in America from the 1600s through the 1800s. 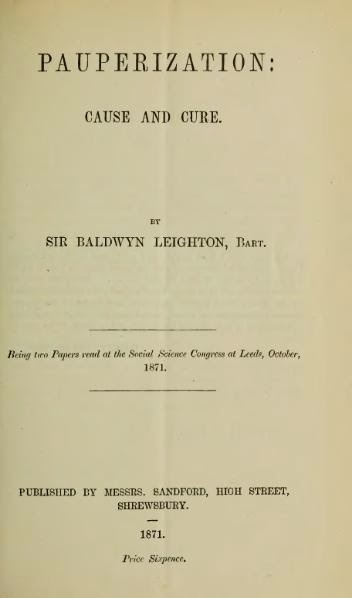 The Industrial Revolution changed the onus of social welfare from a village matter to a large urban concern. Public assistance to the poor mirrored the feeling of society at large.